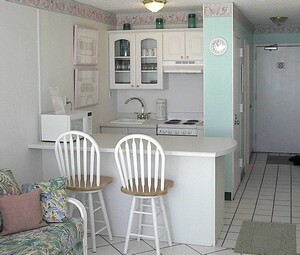 walk to the beach, it's just steps away. closet), as well as floats, folding beach chairs. 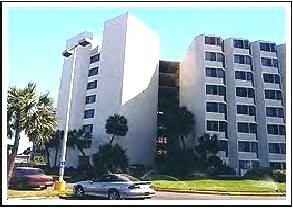 We also have 2 other condos in Panama City Beach. with a private patio, which sleeps up to 4 people. up to 6 people (you'll love this roomy condo!). 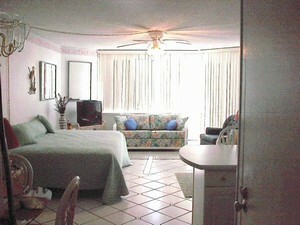 The extra large pool is just steps away from the beautiful white sand and aqua waters of the gulf. The kitchen is newly remodeled. 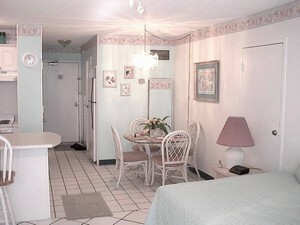 Dining area for 4 people. Beautifully maintained landscaping surrounds the Top of the Gulf complex. Lots of room during the day and sleeping arrangements for up to 6 people at night. The room is bright and sunny. 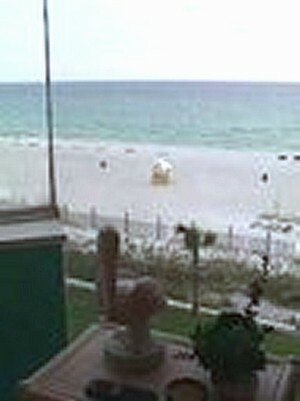 See the beach and hear the waves right from the condo. Rates and terms are subject to change without notice. Tax12.5%), cleaning fee ($45), and security deposit ($100) are extra. Deposit: $100 security deposit for either efficiency condo. Cancellations and Refunds: For cancellations - Security Deposit is not refunded but can be applied to another rental reservation in the same calendar year. 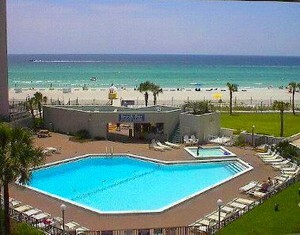 Required Stay: Sat. - Sat.